Timesheet management is often a challenging aspect of managing contingent workforces and job tracking. 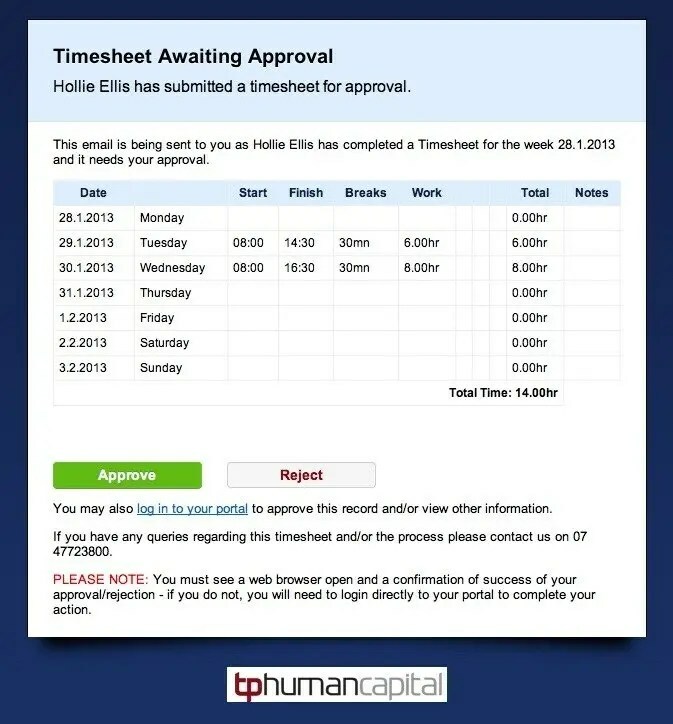 On-line timesheets removes all of the uncertainty, provides considerable flexibility and clear real time visibility. Timesheets are highly configurable, supporting a range of inputs including hourly, daily, shifts, leave, notes, allowances and project tracking. Employees can work on multiple concurrent jobs, and submit hours through any internet connection including their mobile phones. The approver receives an email which allows them to review the hours and accept/reject with one click of a button, or they can login to bulk action timesheets if they have larger volumes. The Timesheet History tracks each action taken on a timesheet, and allows all parties to track the status of the timesheet.